Before we discuss what the team at Horizon Roofing can do for you, here is some information about the beautiful town of Garden Grove. Garden Grove is a northern city of Orange County and is 34 miles south of Los Angeles. Alonzo Cook was the founder of this town in 1874. The town’s original name was Santa Ana Valley. The name took some time to work out due to Alonzo’s name preference. He suggested Garden Grove, but other people did not think the name suit the area. So the people in the town started to plant trees and vegetation to suit the name Alonzo Cook wanted. The town’s main crops were oranges, walnuts, chili peppers, and strawberries. Due to the massive earthquake in 1933, most of the town’s crops and business where destroyed. The city of Garden Grove did rebuild after the earthquake. For more information on the Garden Grove area, visit the city’s website. 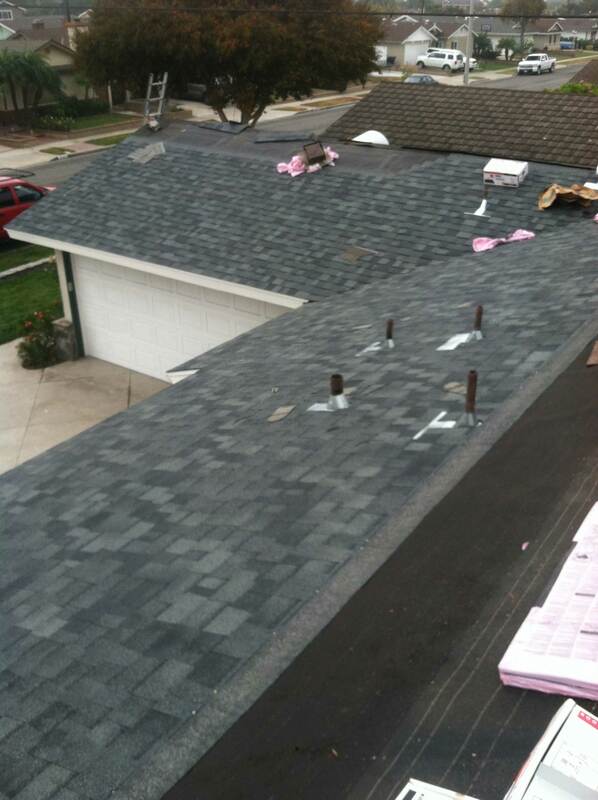 Horizon Roofing can help with your next residential or commercial roofing project. In the photo below, you see a space sheeted sub-roof that was installed in the 1960s. 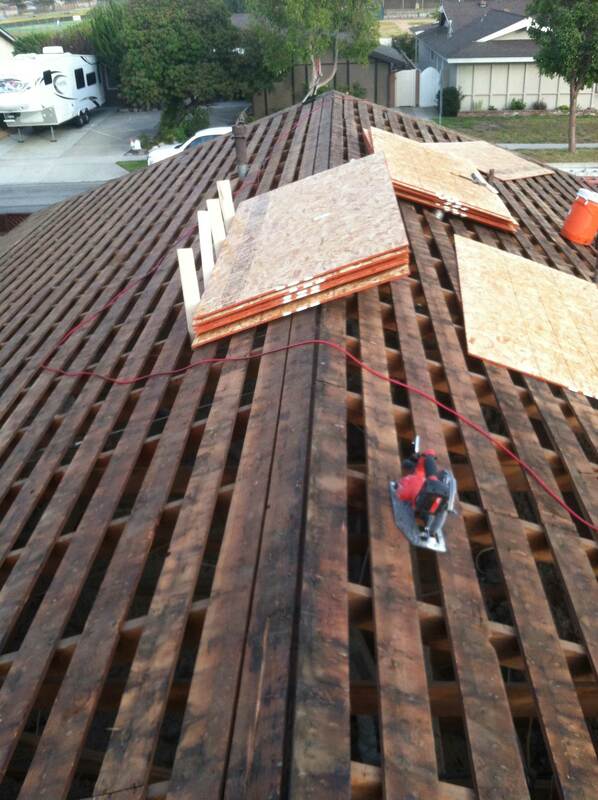 The next photo shows a modern dimensional composition shingle in its final stages. You will notice a saturated asphalt underlayment membrane heavy gage 30 pound with new galvanized flashing jacks over roof pipes and vents.